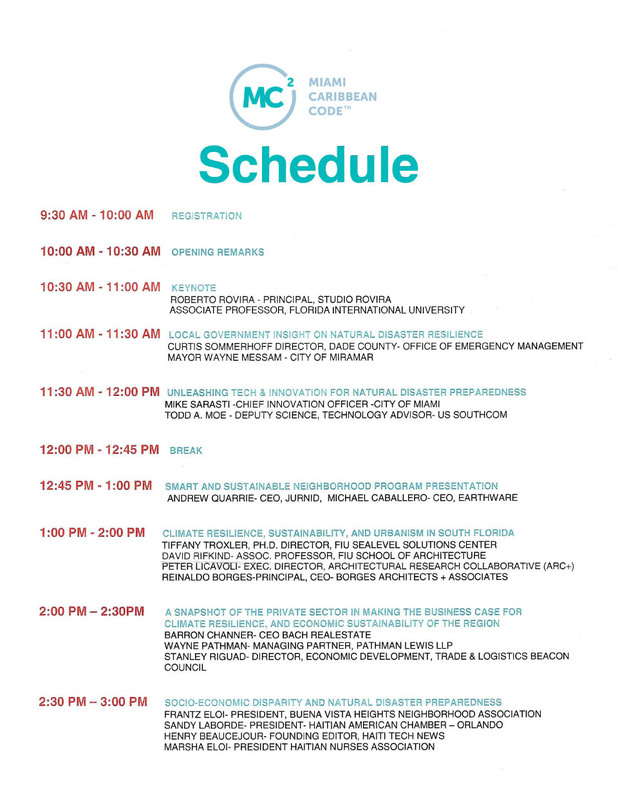 Roberto Rovira delivers keynote presentation “Coding Place: Visions for Community, Technology and the Natural World” at the Miami Caribbean Code conference at Palm Court in Miami’s Design District on 24JUN2017. “MC² is Miami Caribbean Code, an empowering ingenuity committed to fostering the bridge between Miami and the Caribbean region. MC²’s approach is to provide resources and education to empower today’s tech innovators in the Miami-Caribbean community and Caribbean region. Our vision is for entrepreneurs and innovators to achieve limitless technological advancements for future business success. MC² strives to inspire the Caribbean youth, budding entrepreneurs, innovators and thought leaders both in Miami and in the Caribbean region. We believe they can all help change the world, one entrepreneurial vision and innovation at a time. Envision the palm-tree-flanked Caribbean paradise of white sand beaches with a clear blue ocean. But, begin with a game-changing and powerful high-tech twist of bright and innovative minds uniting the Miami-Caribbean community and the Caribbean region to showcase entrepreneurial talents together in the tech world, all in one place.